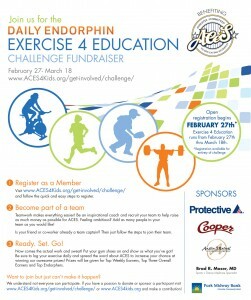 The 2nd annual ACES/DailyEndorphin Exercise 4 Education Challenge is in the books. 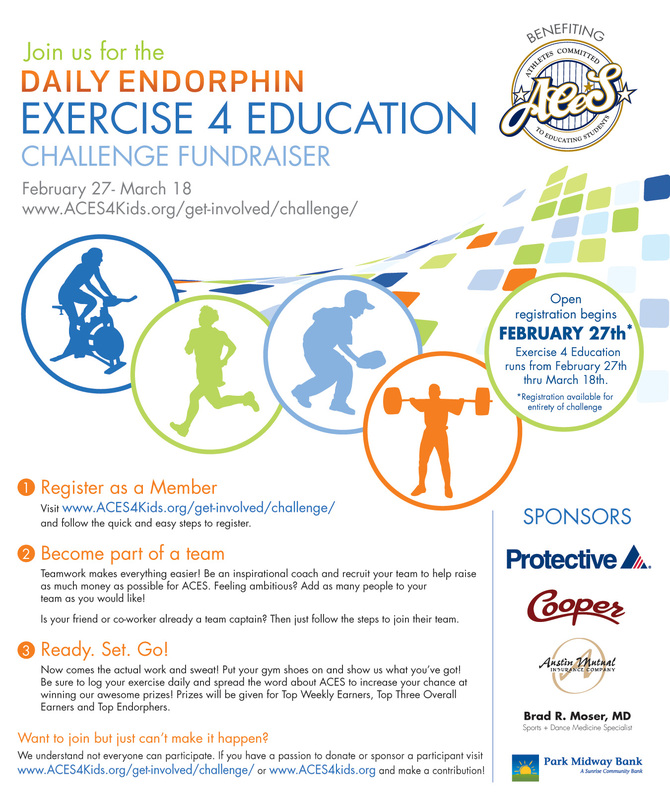 As a group, during the challenge itself we raised over $11,000, exercised nearly 80,000 minutes, and burned nearly 480,000 calories for ACES (“Athletes Committed to Educating Students”), a Twin Cities, MN after school mentoring & tutoring program. Including sponsorship & prize party raffle donations, we raised a total of $15,179, surpassing our goal of $15,000, which is a 95%+ increase over last year’s totals. Nicely done everyone! Here is a snapshot of the final individual & team fundraising & exercising standings. Challenge participants may view the full challenge report by logging into their respective user dashboards.